I planted crocus bulbs four autumns ago, and this is the first time I’ve ever gotten a bloom! The light was fading fast (the sun had already gone down), so I didn’t get as bright/sharp a photo as I would have liked. Might try again tomorrow, if the weather cooperates. Hand held, manual focus, TV mode. 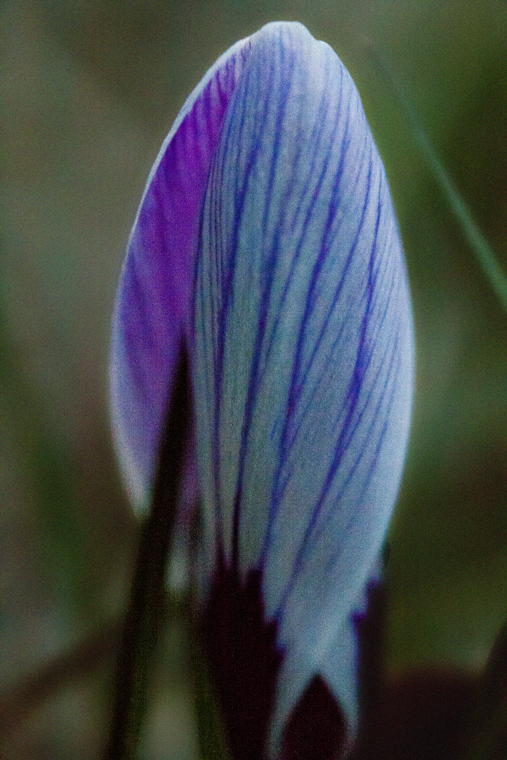 This entry was posted in Photography and tagged crocus, flowers, macro, nature, photography, postaday. Bookmark the permalink.